Thank you for visiting this site, the primary purpose of which is to provide links to other sites connected with the village of Groombridge. Please note that I do not actively monitor the linked sites and from time to time sites disappear or change so that the link no longer works. If you come across one of these, please let me know by email and I will investigate. If you have a site that is connected with Groombridge and would like a link to it from here, please email trevor.harrison@groombridge.com with details. Where and what is Groombridge? It is a small village of about 1,600 people, part of the civil parishes of Withyham and Speldhurst, straddling the borders of East Sussex and Kent, half way between Crowborough and Tunbridge Wells, about 40 miles south of London, 25 miles from the English Channel and 20 miles east of Gatwick Airport. Click here to find Groombridge on the map. You will be able to find information about Withyham Parish Council here: Withyham Parish Council Website. You can also make contact with WPC through the Parish Office which is located at Groombridge Station, in the old station building where Station Road and Newton Willows meet. The postcode is TN3 9RD, the telephone number is 01892 864557 and the email address is clerk@withyhamparishcouncil.org.uk. The office is not always open but messages left will be attended to as soon as possible. The local district council is Wealden; Welden's website may be found by clicking here. Groombridge Village Hall has high quality halls and rooms suitable for functions and activities from wedding receptions for 200 to intimate meetings of half a dozen. For further information, please email the bookings secretary, Duncan Sanders at bookings@groombridgevillagehall.org.uk or telephone 075 5217 0679. Groombridge Village Hall is run by volunteers who willingly give up a great deal of time to make this valuable community resource available to users at modest cost. There may therefore be occasions when a prompt response to enquiries is not possible; users and potential users are kindly requested to bear this in mind when communicating with the bookings secretary and other GVH represenatatives. To see more information about the hall, including a list of current bookings for the next 12 months, please click here to visit the hall's own website. The booking information is provided only for guidance and is correct only at the time of its stated update; it can and will change day by day. Accurate, current information may be obtained from the Bookings Secretary. The Chairman of the Management Committee, Mrs Sue Homewood, may be contacted by email at chairman@groombridgevillagehall.org.uk. Groombridge Village Hall is on Station Road, opposite Corseley Road and the Post Office. Click here for a map. The hall is at the tip of the orange arrow. The Parish Church of St. Thomas the Apostle, New Groombridge, designed by Norman Shaw, was first opened for worship in 1884, since which time it has remained the principle place of worship for the village. More information about the church may be obtained from its own website, www.stthomasgroombridge.org.uk or by calling the Vicar, the Rev. Sharon Francis, on (01892) 864265 or by emailing: revsharon.francis@groombridge.com. St. Thomas' School is a thriving primary school with close physical and spiritual links to the adjacent parish church. The school website was launched in November 2001 and includes information about the school and contributions from the children www.groombridgest-thomas.e-sussex.sch.uk. For further information, look on the website, email the school at school@groombridge.com or telephone (01892) 864305. No ordinary Women's Institute, even my wife is a member! Groombridge WI is a lively group of approximately 100 women who meet on the 4th Thursday of each month in Groombridge Village Hall. New members are welcome - go along and give it a try. Tea, coffee, wine and a selection of tasty savoury and sweet bitesize nibbles are served at every meeting. Doors open at 7.45pm followed at 8pm by an activity or a talk, ending at 10pm. To join or for more information, please contact Sarah - groombridgewi@gmail.com and 077 1128 6776 or just look at the website www.groombridgewi.com. A country house in the very heart of the village with comfortable en-suite accommodation. Groombridge Tennis Club opened for play in July 2000 with three courts. There are over 300 paid-up members but the membership list is still open. Junior, Senior, Family and Social Membership is available at attractive rates. Please use the following link www.groombridgetennisclub.org.uk for the club's website or alternatively email them using this address: enquiries@groombridgetennisclub.org.uk. Groombridge Bowls Club opened for play in 1919. There are 40-50 playing members and new members are welcome. Contact the club by email at groombridgebowls@live.co.uk. or by telephone on (01892) 863760. GADS, Groombridge Dramatic Society, presents a minimum of three varied productions a year, including a summer open air production in the village, usually Shakespeare. The society is friendly and the standard of productions is high. New members are welcome and there are always opportunities for involvement in all aspects of drama; acting, production, direction, stage-management, sound, lighting, music, wardrobe, set construction, front-of-house and anything else that takes you fancy. The GADS website may be found at www.groombridgetheatre.co.uk. Groombridge Horticultural Society and Garden Club organises a busy programme of shows and events. The GHSGC website may be found here. The Chairman, Gillian Gray, may be contacted by email at gillian@rowans.clara.co.uk. Libra Audio is a local firm, based in Withyham, that specialises in the hire or supply and installation of sound equipment for special events and public buildings. The company was responsible for the installation of the PA and hearing loop systems at Groombridge Village Hall and is shortly to install a noise monitoring and cut-out device for the protection of users and the comfort of neighbours. Visit Libra Audio's website at www.libraaudio.co.uk or call William Brown on 01892 662700 to find out more. Groombridge Knitting Circle meets weekly in the Junction Inn at 7.30pm to knit, chat, share patterns and knowledge and possibly to drink a small sweet sherry or similar as befits ladies of a certain disposition; mind you, they have been spotted drinking pints of cider and arguing noisily about who had the biggest needles. More information can be found at this link to Facebook. When last asked what they were doing, the response was Knitting for Africa and that all offers of help would be welcome. Groombridge is justifiably famous for Harrison's Rocks, the sandstone outcrop to the south of the village. To find out more about the Rocks and climbing locally, indoors and out, visit the British Mountaineering Council's website www.thebmc.co.uk. A wide range of rock climbing courses are offered by Sarah Cullen - see her website at www.rockclimbingstore.co.uk for more information. Adult-only rock climbing skills courses are also offered by Alan Cooney - his website is at www.skyhookadventure.com. Running from Tunbridge Wells via High Rocks to Groombridge and on to Eridge*, the Spa Valley Railway offers a delightful five mile ride through some beautiful and unusual countryside.Further information including timetables is available at www.spavalleyrailway.co.uk or by calling (01892) 537715. *At Eridge there are interchange facilities with main line services on the London-Uckfield line. One of many activities that take place regularly in Groombridge Village Hall is pilates. Modern pilates classes are run by Louise Renton who is based in nearby Speldhurst. For information about the types and times of classes, visit Louise's website or, for full details including cost, contact her by email or call her on 077 8866 3107. 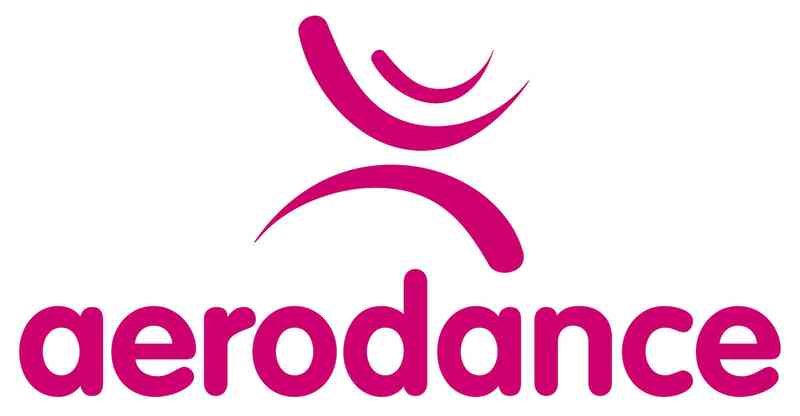 Aerodance runs dance classes for all ages in Groombridge and the surrounding area. The club was founded by Groombridge resident Nikki Sturgeon in 2001, after a group of local mums held a party for a friend. It took off from there and now Aerodance runs dance classes and parties for children and adults in a variety of locations. The club’s motto is “it’s all about fun” and they guarantee the feel-good factor in all their classes! You can find out more on Facebook or give their office a call on 01892 322095. Please address any enquiries about this site to: trevor.harrison@groombridge.com or call 01892 882536.